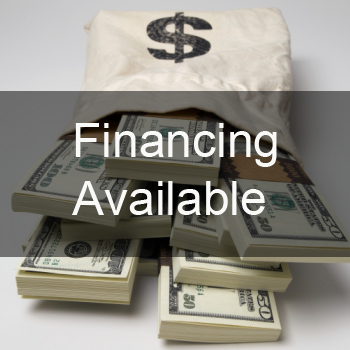 VEHICLE WASH SYSTEMS, INC. is the “ONE STOP SHOPPING” experience providing exceptional SERVICE to our customers. Welcome to VEHICLE WASH SYSTEMS, INC., the leading provider of quality, innovative, efficient stainless-steel car wash equipment for more than 40 years. As certified car wash equipment professionals, you are guaranteed of customized vehicle washing systems ranging from flat belt conveyors, standard over/under conveyor, surface conveyor, touch-free systems, soft foam brush washing systems, water treatment systems, and spot-free systems. We manufacture quality car wash equipment that is ideal for the individual car wash owner, new investor, fleet operator, and car dealerships. Whether you need a customized car wash equipment to cater to your specific needs or a single piece of equipment to enhance your existing wash, VEHICLE WASH SYSTEMS, INC. is able to provide optimal results for every unique project and exceptional service to our customers. Behind our success is our uniquely talented team of innovative and hardworking professionals from various fields such as electrical, mechanical, plumbing to develop an all-round and functional car wash equipment to make sure that your project is completed ON TIME EVERY TIME. 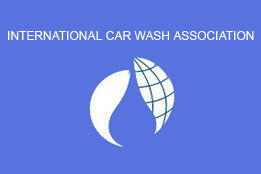 Our team has the knowledge, skills, and experience to design and develop a comprehensive wash package. Contact us today for unique car wash equipment and check out testimonials from our satisfied clients. Over the last 40 years, we have built our reputation by developing quality car wash equipment and providing our customers with an exceptional experience during and after a sale. VEHICLE WASH SYSTEMS, INC. was founded by Martin Geller, who has remarkable knowledge and experience in the car wash equipment industry and is the driving force behind this great company. Martin has ensured that VEHICLE WASH SYSTEMS, INC. maintains its reputation in the car wash equipment industry by having assembled an outstanding team of technical and support staff who have worked tirelessly to deliver success to each customer one product at a time. With our experience, we are cognizant of the challenges experienced by car wash owners and this has always informed the development of our innovative products such as flat belt conveyor, undercarriage wash systems, high-pressure prep gun to touch-free systems that are designed with safety in mind. For the maintenance of our car wash equipment, we provide each of our clients with a detailed operation and maintenance manual for each car wash equipment that we manufacture. 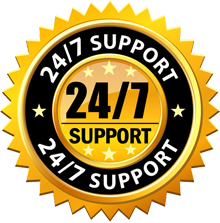 If you don’t have the time or resources to maintain the wash system, we also offer spare parts, preventative maintenance, training, and a custom chemical program. 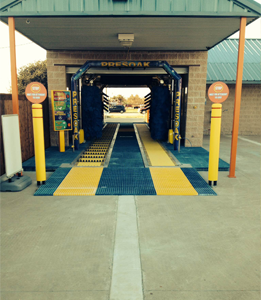 VEHICLE WASH SYSTEMS, INC. offers a “ONE STOP SHOPPING” experience providing exceptional SERVICE to our customers. We design, install and maintain heavy-duty commercial car wash equipment for light, medium, and heavy-duty vehicles. 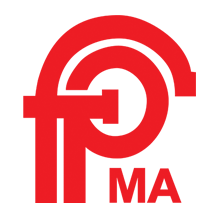 Our products are guaranteed to perform as specified and have been designed to the highest safety standards. 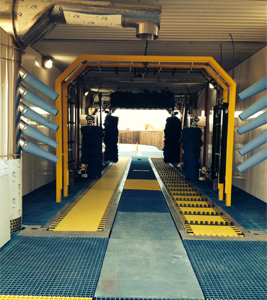 VEHICLE WASH SYSTEMS, INC. represents the present and future of superior flat belt conveyor systems. We manufacture the most superior and the safest conveyor systems in the entire car wash equipment industry. Our product has the ability to wash all types of vehicles including those with dual wheels, low profile and exotic cars with no damage claims. It is available in both electrical or hydraulic, and different colored belting is available. At VEHICLE WASH SYSTEMS, INC. we believe that besides quality when it comes to maintenance and repairs a rapid response is essential. We will deliver them in time and guarantee the availability of reliable spare parts that are precisely tailored to each car wash equipment. We provide all spare components and parts such as brushes, electric controls, hydraulic supplies etc. for maintenance and services of our car wash equipment for conveyors, car wash mitter and curtains, chemical pumping stations, and undercarriage wash systems. Our touch-free systems are designed to operate unattended while offering customers a quick and inexpensive exterior wash. Since we design and assemble the equipment, we guarantee high-quality equipment and better service to our clients. Our touch-free car wash equipment includes wheel cleaners, touch-free conveyer, self-service equipment, touch-free vacuums and air towers, and mat washing machines. I am a new owner of Starting Gate Car Wash in New York. As my equipment needed to be replaced, I was introduced to Martin Geller, President, Vehicle Wash Systems for my equipment needs. Through his knowledge and expertise of the industry and the equipment I needed to make my operation a turn-key business, I purchased a new conveyor along with Arches, Poodle Brush, Mitters, and Side Wraps. I worked directly with Martin to create special Arches and LED Lighting to create a wash tunnel with real PIZZAZ. Martin has stood beside me all the way through this process. As minor issues arose, Martin was ready willing and able to help me overcome these issues. Not only am I pleased with my purchases, but more importantly the personalized service I received from Martin Geller, Vehicle Wash Systems, Inc,.